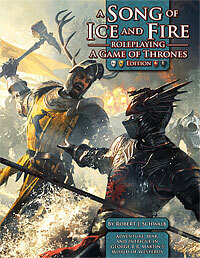 This May we are releasing A Game of Thrones Edition of A Song of Ice and Fire Roleplaying. This is the new core rulebook for the game and it clocks in at a hefty 320 pages. Want to know more about what’s inside? Then check out this PDF preview, which has the full table of contents and introduction. You’ll be able to get the PDF and pre-order the physical book the first week of April, when the HBO show comes back for its second season. Winter is coming!